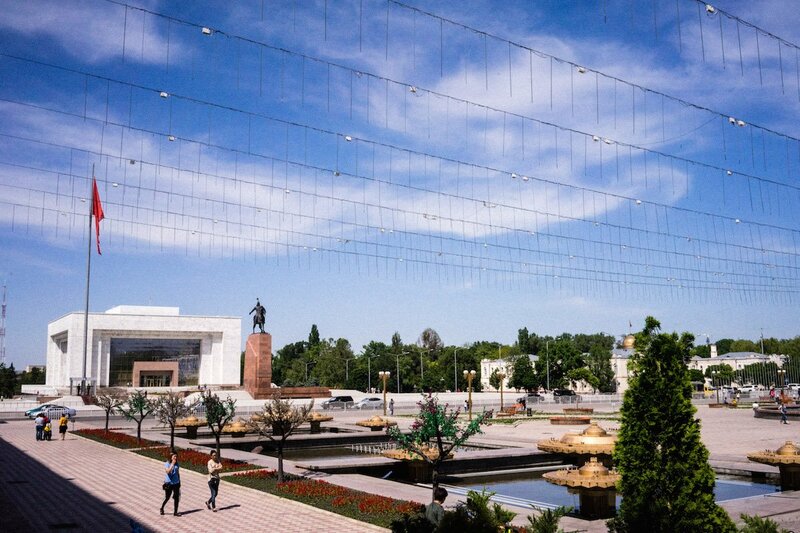 Letter from Dushanbe: can Tajik artists rebuild their capital in the aftermath of civil war? On the fifth floor of an iconic Soviet-era building now occupied largely by wedding dress parlours, overlooking the site of the first stirrings of unrest which eventually metastasised into Tajikistan’s five year-long civil war, Jamshed Kholikov flips through a glossy magazine of Central Asian art. 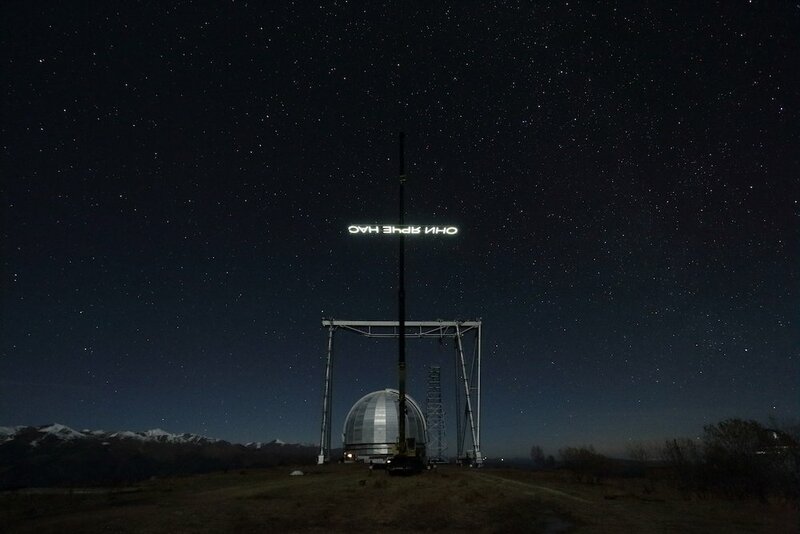 Kholikov is one of the founders and directors of Dushanbe ArtGround, an arts centre with the goal of elevating digital media techniques and modern art practices. This is ArtGround’s studio and it is suffused with tenacious early-spring sunlight and the odour of instant coffee. 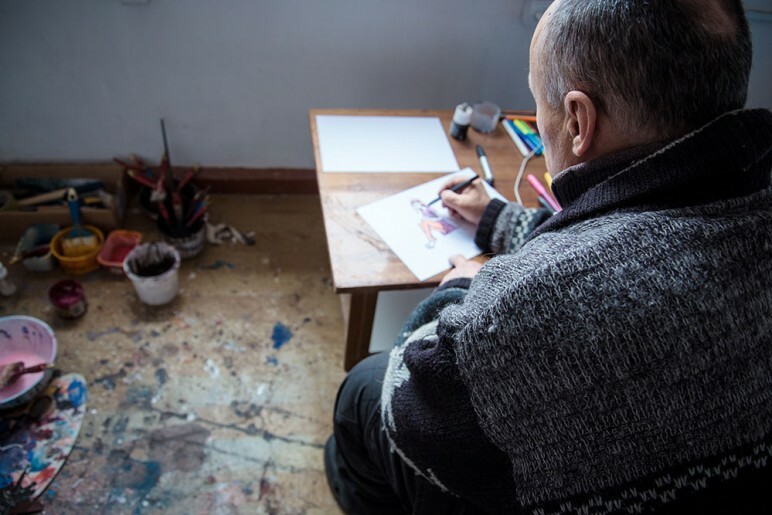 “He’s left… He’s left… She’s still here… He’s left but comes back to visit often.” The litany is of Tajik artists who no longer reside in Tajikistan. 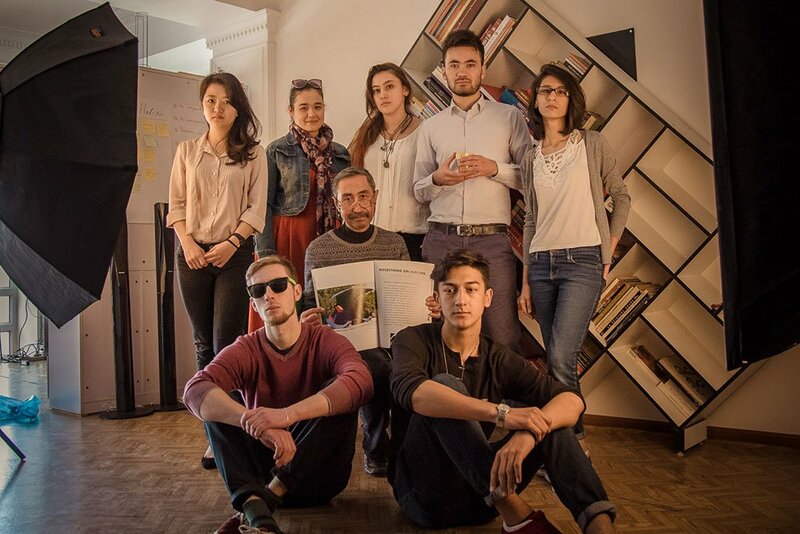 Lack of economic opportunity, an upswell of authoritarianism and cultural conservatism and Tajikistan’s virtual isolation from the global artistic community have forced the majority of the country’s best and brightest outside of its borders. It’s likely that many of those who’ve left Dushanbe wouldn’t recognise the city if they came back. Over the course of 25 years of Tajik independence, but especially in the past decade, Dushanbe has transformed radically. 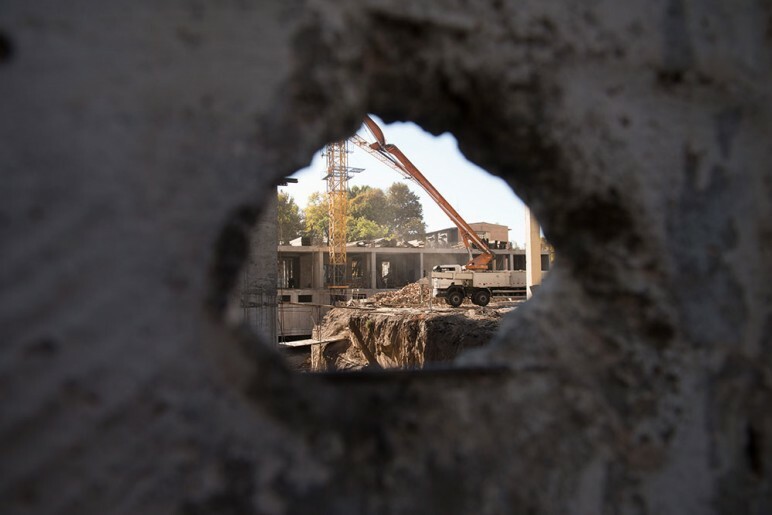 Long-term residents – prone, perhaps, to idealising the past – decry that what was once a cosmopolitan Soviet oasis known for its trees and fountains has become a polarised city of opulent high-rises and hardscrabble shanty-towns. 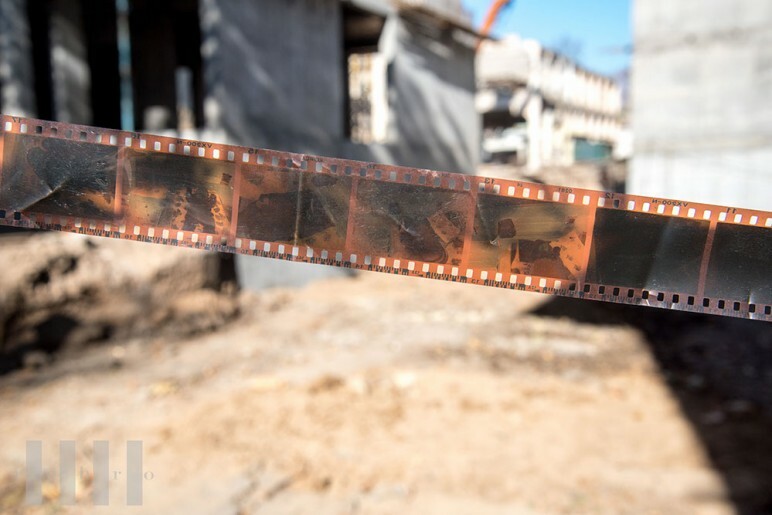 They point to Tajikistan’s bitter 1992-97 Civil War, and the concurrent exodus of the majority of the city’s intelligentsia, who took with them decades of cultural memory and praxis, as the main factor in the city’s decline. Those who are left are cursed to exist in a living palimpsest, eternally comparing the city as it once was to post-war realities. The war, despite having ended almost 20 years ago, continues to resonate at almost every level of society. It is perhaps the single most important influence on cultural and artistic production, at least in Dushanbe. Yet like a black hole, it is most visible in the distorting effect its monolithic absence has on everything around it. 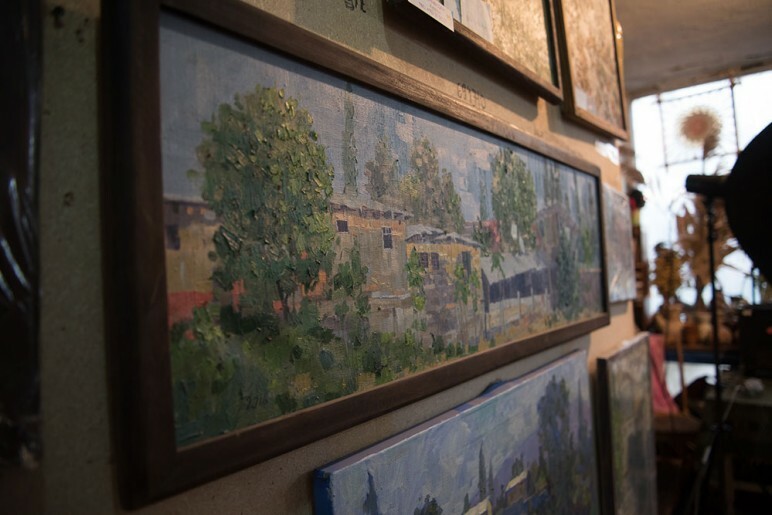 Given the scale and collective trauma of the war, it’s surprising that Tajik visual artists inside the country choose not to exorcise their demons, instead sticking to a style Lola Ulugova, a local art collector, describes as “mountains, fields and corners of villages”; what British Ambassador Hugh Philpott, one of the most prominent boosters of Tajikistan’s art scene, called, not unkindly, “pretty pretty Tajik”. 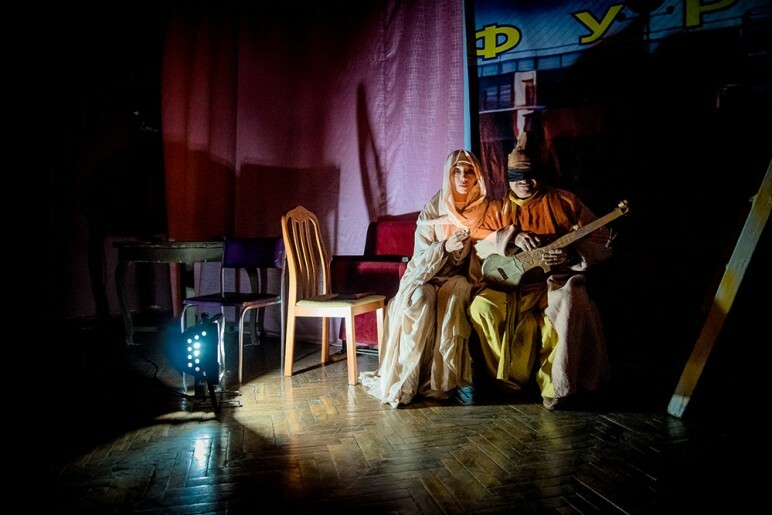 Self-censorship and the looming weight of state control are also present in the Tajik music and theatre scenes, which have historically been home to some of the most perceptive voices of dissent and alarm. In the mid-noughties, after the crushing brutality of the civil war, Dushanbe’s music and theatre scenes began once again to flourish. 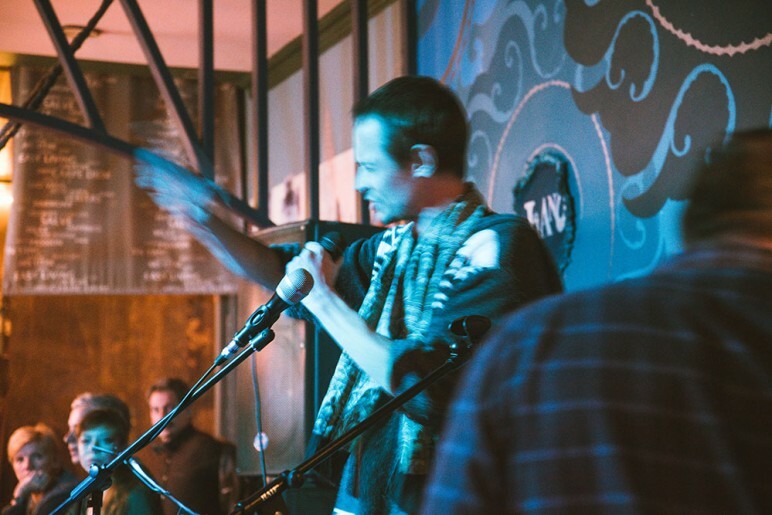 Local musicians began experimenting with rap to express disappointment with the regime’s broken promises. A hard rock and heavy metal scene emerged. 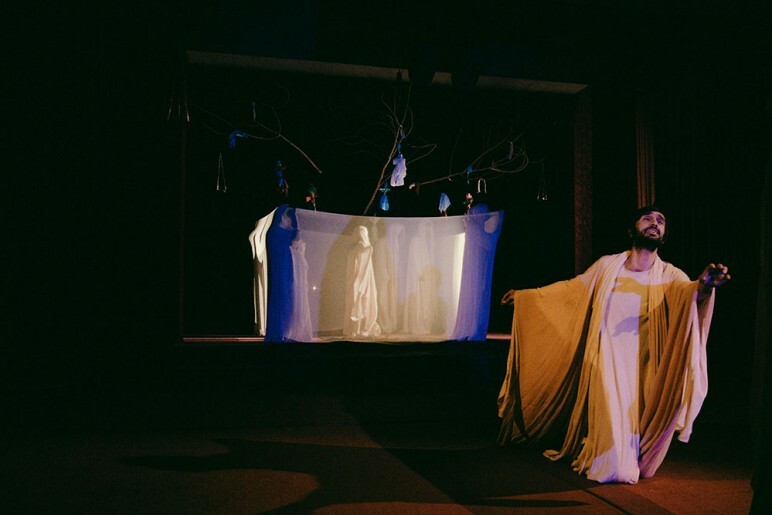 In theatre, internationally renowned directors Barzu Abdurazzakov and Sulton Usmonov, among others, put on plays including The Throne of Sultan Mahmud, about the corrupting influence of power, and Madness ‘93, about the civil war. But around the turn of the decade, the state began restricting space for free expression. The Ministries of Culture and Education took a stand against rap music, declaring it to be antithetical to Tajik morality, and banning it in taxis and minibuses. The premier of Madness ‘93 was subject to considerable pressure and resulted in Abdurazzakov’s departure from Tajikistan. 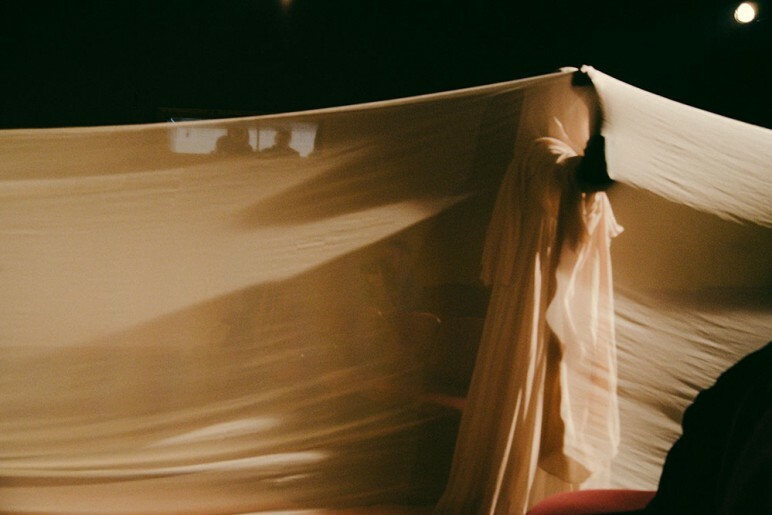 And after ShTAB, a Kyrgyzstan-based art collective, gave a surprise premiere of a work advocating radical political inclusivity in the Dushanbe ArtGround space, ArtGround leaders were hauled in front of the state security services for questioning, despite the fact they’d had no prior knowledge of ShTAB’s intentions. Yet the events comprising this quasi-crackdown seem out of proportion to the response from the artistic community, which has bent over backwards to impose restrictions on its own speech in line with the Ministries’ direction. Tajik rap is now infamously patriotic. Theatre is so tentative that even the President, in his latest Navruz address, called for bolder scripts. More so than oppression, the role of the Tajik state with regard to cultural production is to exert an almost insurmountable force towards homogenisation, a single set of approved themes and forms, much in the way that Dushanbe is rapidly being colonised by skyscrapers as indistinguishable and prolific as mushrooms. 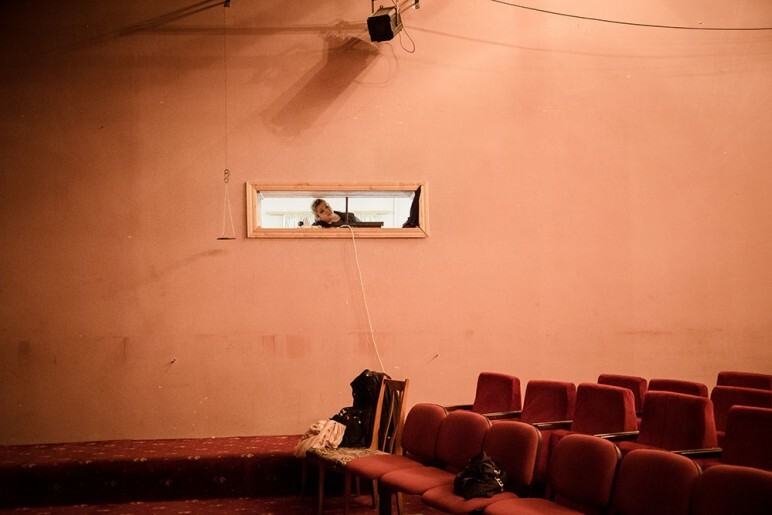 Dushanbe used to be the Mecca of Soviet theatre, or so the phrase went, but today “Tajik theatre is dead” – according to Khurshed Mustafaev, an actor and director in the Mayakovsky theatre group. 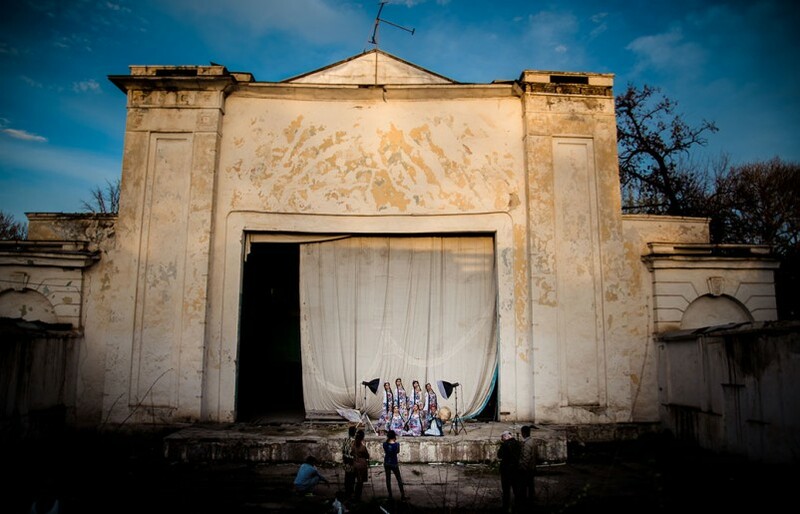 Audience numbers are down, the country’s best directors have left for greener pastures, and dramaturgy is a lost art in Tajikistan’s resource-strained universities. Theatre was struck a fatal blow last year when the city government proceeded in the face of intense public criticism with the demolition of Dushanbe’s Mayakovsky Theatre, a 1924 Constructivist building which had originally served as the House of Agricultural Workers and in which Tajikistan’s formal accession to the Soviet Union was declared in 1929. To add insult to injury, nothing has been done with the site of the theatre, which remains an empty lot, roped off, carpeted in rich green lawn, in the centre of the city. The theatre was a home for many of the city’s countercultural elements, or what Jack Rock calls the “cultural ghetto” of Russian- and English-speaking intelligentsia. During the civil war, the Mayakovsky group toured the front to entertain government forces, but it also hosted rock concerts in its theatre. 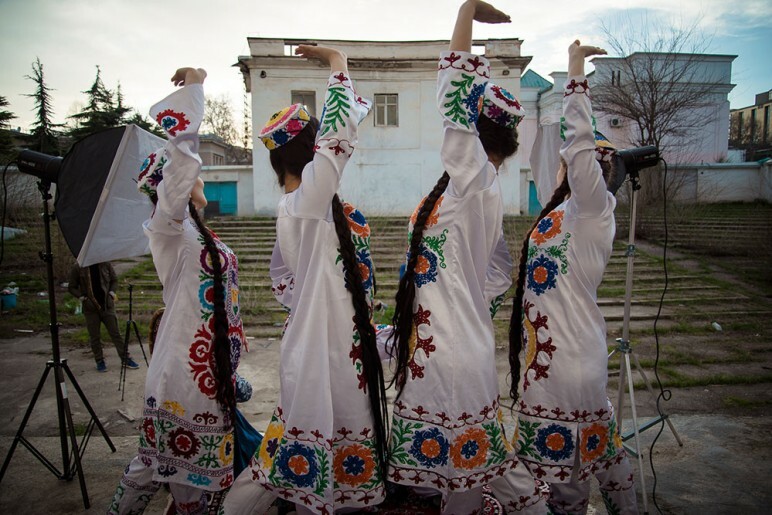 Many members of Dushanbe’s remaining cultural elite decry the rising tide of religion. Yet some artists have turned to Islam for inspiration in a way they would never have been able to do during the Soviet Union. The statue of Lenin which used to dominate Dushanbe’s main square now rests ignominiously among broken electric teakettles and the sound of lathes in the weedy backyard of the Artist’s Union. 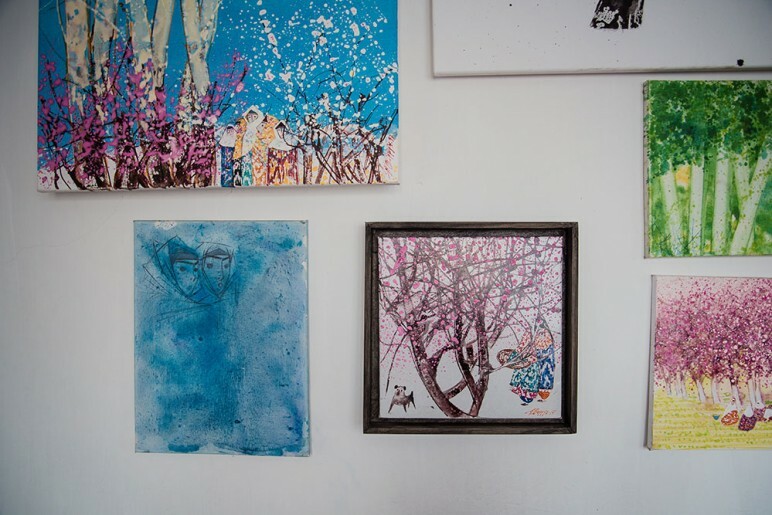 On an unseasonably cold Wednesday, artists gather in Daler Mihtojov’s second-floor studio to drink tea. In one corner of the quaintly cluttered room rests a stack of canvases freshly returned from an exhibit at the French Embassy. 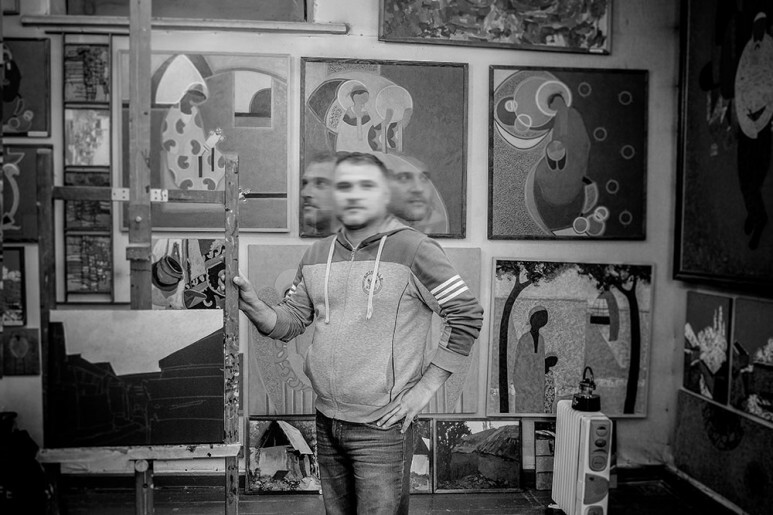 A practicing Muslim – he prays inside his studio – Mihtojov refrains from depicting the human form in his work; his exhibited series was inspired by the poetry of Omar Khayyam and featured motifs of vessels and windows. “Life’s good for us,” he says gently. 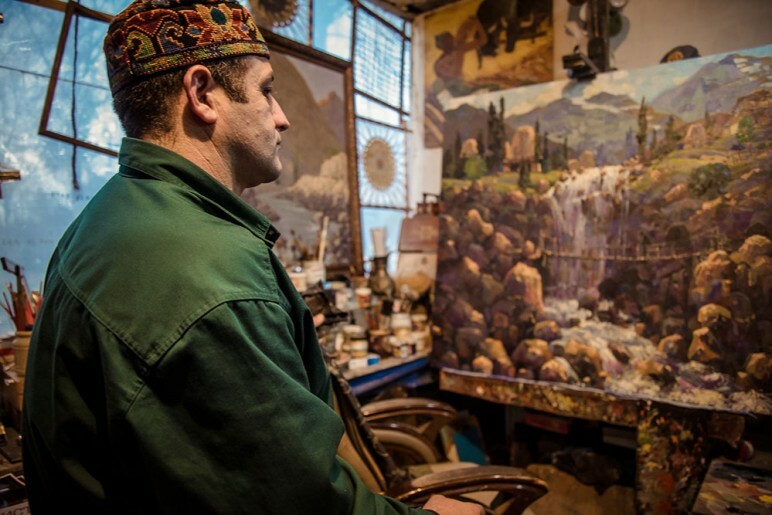 Faced with bleak prospects, it’s no wonder so many Tajik artists have chosen to leave the country. Escapism is almost a national obsession. Border-hopping is one route, but if the crowds in the new western-style cafes dotting Dushanbe are any judge, the quietist residents of Tajikistan’s dusty capital are also happy succumbing to pacification by cappuccino. Some argue that the city is bathed in apathy as much as in the blistering sunlight that is its hallmark, beating down on suppurating streets now bereft of the shade of trees. 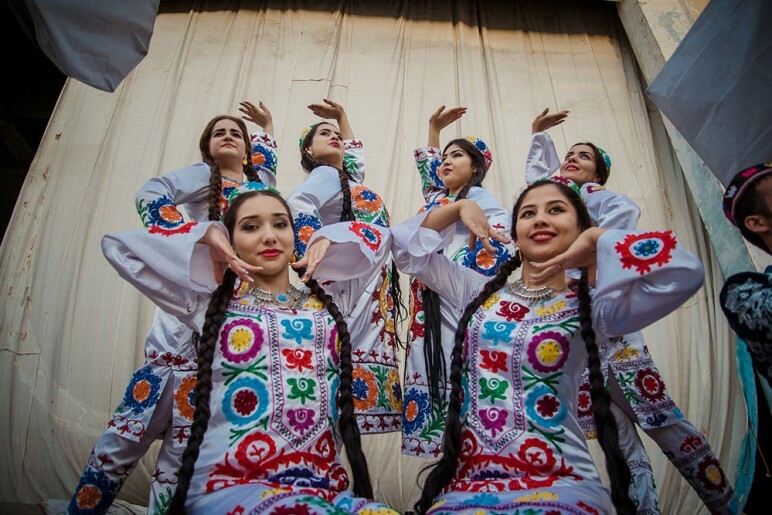 To many, it seems impossible that Dushanbe will regain even a shadow of the multiculturalism and vibrancy that they remember as its Soviet legacy. That’s likely true. For now, the city is dormant, licking its wounds, still trying to reckon with a past that creeps unasked into the present.